Curated by Diana Robson, Exploring: BigCi features a survey of works selected from Australian and International BigCi artists in residence. BigCi (Bilpin International Grounds for Creative Initiatives) sits within the Greater Blue Mountains World Heritage Area, providing access to a rich ecology covering over one million hectares. Exploring: BigCi officially opens on Friday 19th June at 6pm, and continues to 2nd August 2015 at Hawkesbury Regional Gallery, Deerubbin Centre, 300 George Street, Windsor, New South Wales. 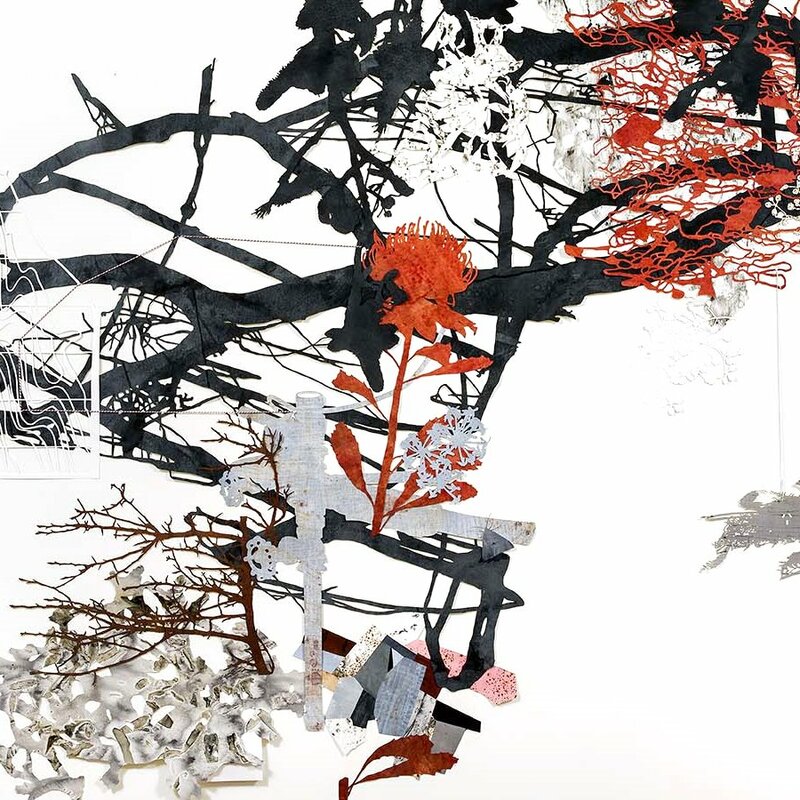 Nicola's hand cut paper works will also be on show in the upcoming exhibition Disassemble/Reassemble at Caboolture Regional Art Gallery, Queensland. Curated by Zoe Roos, Disassemble/Reassemble highlights the relationship between humans and nature, particularly the impact that human life has on the planet. The curatorial drive for the exhibition arose from memories of the early 1990's environmental superhero, Captain Planet, the star of an animated children's TV edutainment series that advocated environmentalism. Disassemble/Reassemble officially opens on Saturday 27th June 2015 at 10.30am with artist talks held prior from 9.30am. The show continues to 2nd August 2015.